The short-term and long-range weather forecasts for southern Jiangsu—and Nanjing in particular—predict rain every day. A more complete index would show pain for local officials on the same timeline. Nanjing and its bordering low-lying townships are now facing the threat of severe flooding in a number of areas, with water levels in some cases suddenly running 10 meters or more above flood stage, according to local reports. That Jiangsu would have to confront flooding isn’t shocking and officials here were making preparations. But the rapid rate of the rise in water levels in the past few days is alarming. The danger of a local deluge isn’t only due to the heavy weather; it’s because sometime in the last week or so, Nanjing city began retaining water locally. Excess rainfall wasn’t being flushed into the Yangtze River (which is the normal approach) because provincial officials appear to have had instructions from the central government to halt that practice for the moment because of rising river levels upstream and to protect industries downstream. Likewise, townships near Nanjing seem to have been directed to open local waterways and sluices to help take the strain off the Yangtze River. So even before the heavy rains commenced in Jiangsu in the past few days, local governments in the Nanjing area were being told to play the part of urban sponge. That puts local officials in an unenviable position—one that they’re used to, but never completely comfortable with. Chinese decision-makers aren’t elected from below but selected from above. They don’t answer to constituents for their political authority but superiors. Chinese politics is largely about patronage, with officials disposed to gazing above and only glancing below. To make matters worse, Jiangsu is an affluent province, and Nanjing a successfully managed city—conditions that help make for local stability, but which are sometimes in other places sources of political jealousy. And because Jiangsu’s various political representatives have often been brave enough to act independently of Beijing’s directives in the past—insisting that they know local conditions better—officials here insist that they need to follow the government line even more carefully when crises that cross regions arise. In the present situation where flooding is imminent, they’ve very little leeway when it comes to local waterways. At the same time, local officials also feel responsible for residents and their safety. In Nanjing, many lower-level Communist party cadres and government employees were born and raised in the area, and a number are second-generation officials. They may sometimes clash with the communities they supervise (especially as more migrants flow into the cities and lack even a rudimentary understanding of how to address and interact with urban authorities); but those who work in local government do feel responsible for residents, if only because many of them know each other. Neighbours here are growing anxious about the rising waters in Nanjing, and local officials aren’t far behind them. Indeed, it’s not only the rising water that’s worrisome, for this summer’s flood threat--a natural or third force pressing officials--is also interfering with local policy-making here. For example, Nanjing was in the middle of a project aimed at cleaning up local streams and reservoirs, and other measures designed to assist the environment. There was also an ongoing large-scale, long-term effort to dredge the Yangtze River to assist water traffic and transport of goods and materials. Those ventures are on hold now—efforts that would have been good for the city (and perhaps political promotion). 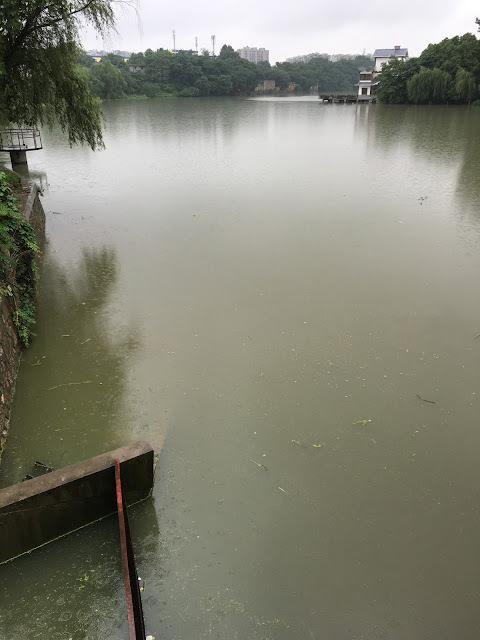 Flooding upstream from Nanjing is already affecting the availability of agriculture products, harvest schedules, livestock feeding and slaughtering, and the prices of goods in local markets. 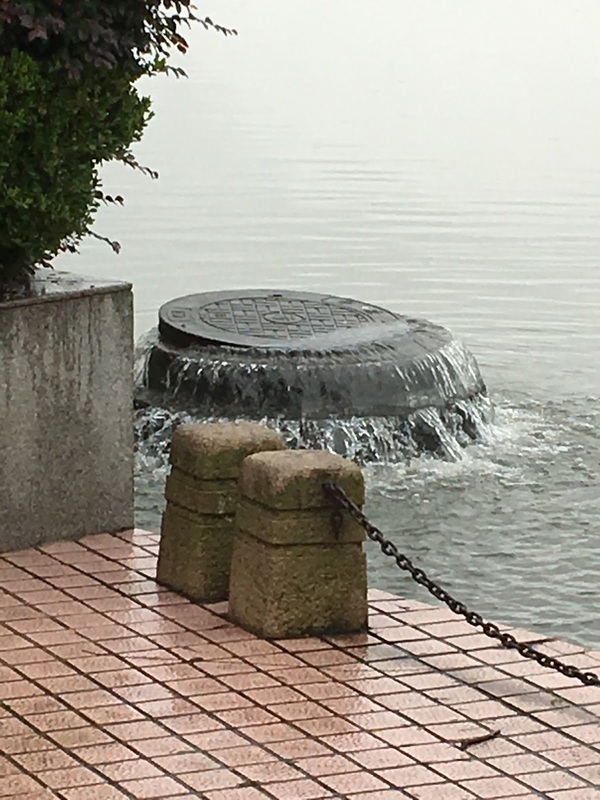 Because Nanjing is a major consumer and distribution center for farmers and their produce, rising water levels in the city and in nearby counties will only exacerbate these conditions. And there are many migrant workers in Nanjing and its adjoining townships. Some have already left to help meet the flooding threats back in their own hometowns outside Jiangsu, but many have remained, either because they cannot find transport, or are obligated to finish construction work here. Still, if Nanjing is hit by flooding, that work will likely come to a halt, and officials here will be faced with making sure that there are housing and services available to help laborers here from afar through local government offices, or by compelling construction firms to take on additional obligations for their employees. Local cadres looking to make these decisions and others that flow from the flooding to come in Nanjing will have to rely largely on their own capabilities and those of their local political colleagues. The current focus of the Communist party leadership is on Marxism, not local markets, on ideology and faith in the organization and its mission, not infrastructure and the availability of sandbags. The real work will, as ever, be done largely at street level here, as local officials try to stay on the high ground without losing touch with those just trying to tread water.